In a surprising turn of events, Blackberry’s stock price has fallen to below zero. This is especially surprising considering that in most sources it is nowhere near bankrupt, and that a stock price cannot possibly fall below zero. Investors would literally have to pay to offload the stock. 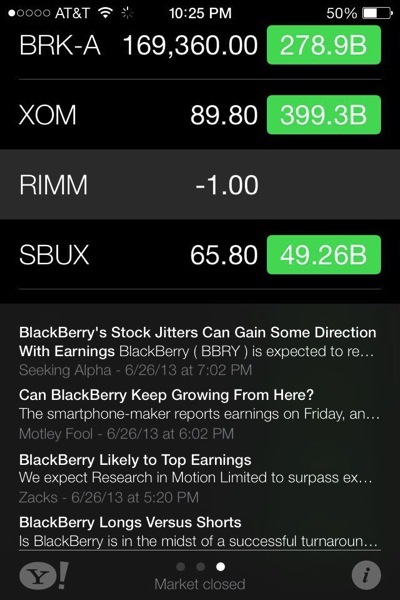 The bug was reported by reader Brendan, who noticed it in Apple’s latest iteration of their stock app in iOS 7. If this were true, it would be a painful blow to one of Apple’s rivals, although it’s obviously pretty far off of reality.